The Brompton World Championship series came to New York City this Father’s Day, and its host was the Harlem Skyscraper Cycling Classic. The USA-leg of the global Brompton racing event was held for the first time in the Big Apple. Rain and clouds rolled across Marcus Garvey Park throughout the morning while the crews were setting up for the day and the runners took to the course. But that all changed around 11am when the sun pushed through, quickly drying the course and sending the heat & humidity spiraling upward. As tension mounted, the 100 strong Brompton field, all attired, as per the rules of the race, in their Sunday Best, kept in excellent spirits. Sheltering for shade on the scorching side-line, they watched and waited as the early road races took their turn. At three o’clock, the participants were led on to the course to arrange their folded Brompton bikes on one side of the track, while they then stood opposite their bikes on the far barriers in anticipation of the Le Mans-style start, running to their bikes as the “GO” was called by the announcer. Super quick unfolding skills were a must as the racers battled to get out on to the track first, to make a start on the ten-lap race ahead of them. Despite the heat and their jackets, some impressive times were laid down with the fastest male finishing with a time of 20 minutes and 45 seconds. With a number of previous Brompton World Championship USA winners participating in the event, it was always going to be an exciting race. The battle for the finish line was intense with 2015 USA Brompton Champion, Dave Mackay, and Victor Gras, a talented New York cyclist who placed second in the recent Grand Fondo New York, going head to head in a sprint finish. Dave took the win with a late surge of power, gaining just over a bike length by the line. New contender, Kristin Negele, took the women’s title, and the 2011 USA women’s champion, Julie Secor, came third. 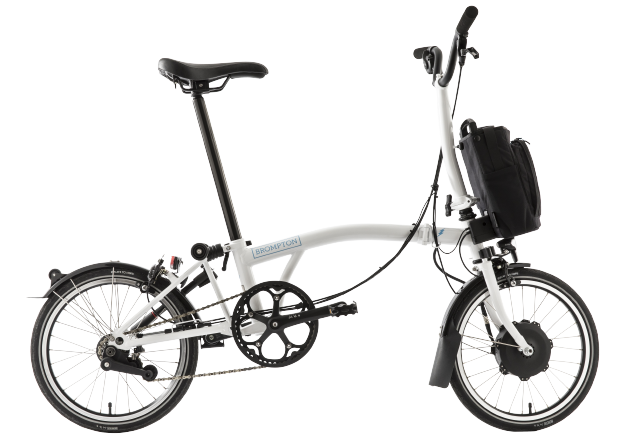 The female and male champions both win flights to the UK and entry to participate in the Brompton World Championship final in London on July 29th. The team event, sponsored by Brooks England, was convincingly won by the Prospect Park Pelicans, with the Brompton Mafia coming second and the Brompton NYC team coming in third. 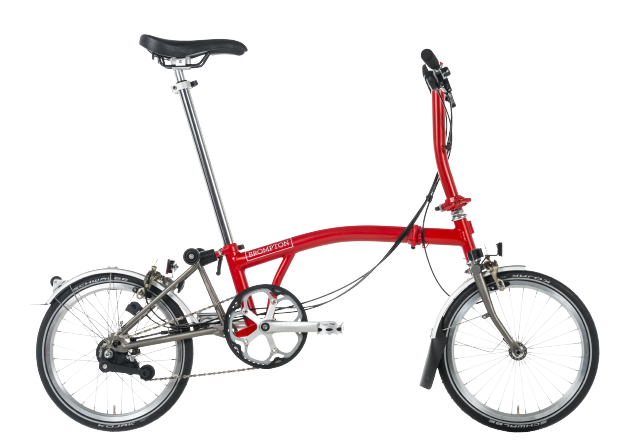 “It was a real pleasure to bring the event to New York City, Brompton’s home in the USA. We have had an awesome reception here today and very much hope to return to the event in the future. We are always looking to promote every kind of cycling; after all, the more people on bikes the better! 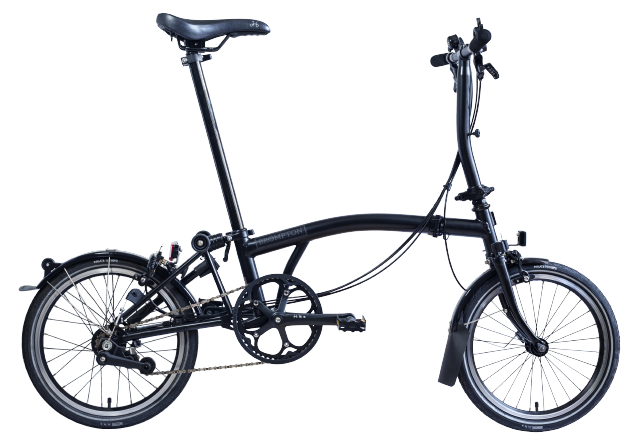 And what better way to bridge the gap between cycling for sport, cycling for fun and cycling for transportation than to celebrate all at once,” commented Katharine Horsman, President, Brompton Bicycle Inc. The Best Dressed category, sponsored by Nutcase, was hotly (literally) contested with some impressively curated offerings, in the end sartorial elegance beat-out the flashier costumes with the winners, Stephanie Tayengco and Maksym Herasymenko, exhibiting a true sense of style and a commitment to color coordination. A fabulous days racing was had by all, with many ready to sign up for next year’s event which returns to the West Coast in 2018 at the Sea Otter Classic in Monterey, California.